Practice Is Over. It's Game Time. The Activated Disciple teaches you how to imitate God, so you can become an instrument for him to transform the world. 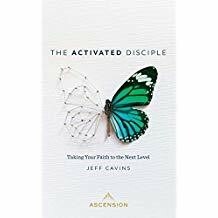 If you yearn for a life that moves beyond believing and practicing, if you yearn to become an activated disciple, then this book is for you. The foundation of discipleship is imitation. The Activated Disciple learns to walk in the ways of the Lord. Discipleship requires such a close relationship with God that every area of your life is transformed. It is about opening yourself to God and inviting him to dwell within you, becoming holy as he is holy, loving as he is loving. By imitating God, disciples become the instruments God employs to transform the world.